As 2018 comes to an end, it is important to reflect on the last year and the trends that came into light. It is interesting to see how the trends have changed. From the tide pod challenge to the baby shark challenge, all the way to the new obsession with Tik Tok, Facebook getting hacked, the take-off of Augmented Reality, and the rise of social influencer importance. A lot has happened in 2018, and it’s safe to assume it will only continue in 2019! 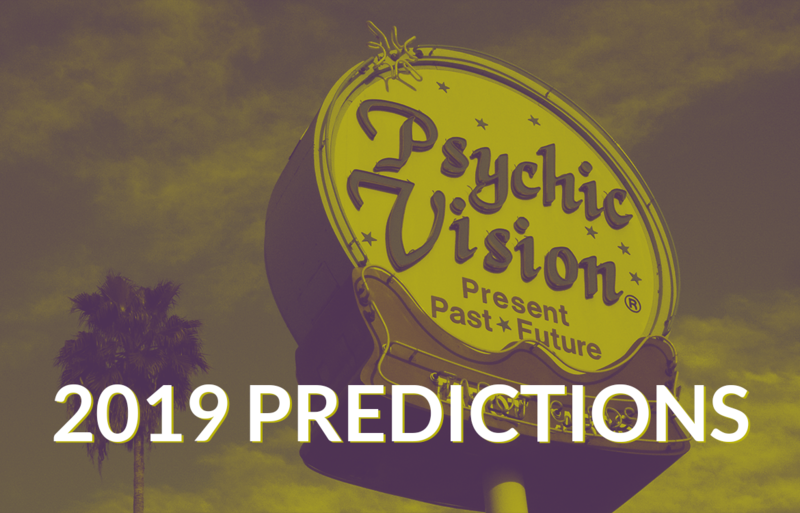 The Keystone Click team compiled their 2019 trend predictions. Live chat and chat bots will become more prevalent on company websites. Voice technology will continue to evolve in the consumer space and will start to show itself in the B2B space. More podcasting will be done by executives. More videos and an element of interactive videos will evolve beyond what is currently happening with live video. Brand ambassadors and influencers on social media platforms will continue to rise. Video content will continue to be the most popular form of content - continuing to educate, entertain and inspire people. The continued rise (and importance) of Augmented Reality and Virtual Reality. These concepts will allow for brands and companies to create unique content. Chat bots will be a normal thing used on websites to offer real-time, quick responses. Personalization: People will expect more personal responses from companies and quicker responses on social channels - the importance of customer service. More people will stream content on the internet, surpassing television hours watched. Voice search will make its way into the navigation (ex. Voice prompts, icons to show voice compatibility). Rounded call-to-actions (CTA's) will continue to trend into 2019. Video backgrounds will continue to be popular on websites. Illustrations and geometric shapes/patterns will replace photographs. Monotone color schemes for websites and design. Homepages will continue to decrease in size and will stay brief to encourage exploration on other areas of websites. CONTENT APOCALYPSE - Content Marketing (in form of blog content) will take a dive. Video content will stay steady. The customer experience will be at the heart of all marketing initiatives. The focus will shift to solving the customer's problem rather than the promotion of one's product. Conversational Marketing will take center stage and be more prevalent, all in an effort to build trust with the customer and adding that personal touch to the sales process. Personalized ads will become more prevalent. This will be due to the rise in Artificial Intelligence (AI). Instagram will continue to prosper with stories and stay as the number one app for teens. Snapchat will have a hard time gaining market share. Snapchat will need a major patented/copy-write breakthrough in AI for it to conquer Instagram. As we've seen with 'stories', it doesn't matter if Snapchat started it, it comes down to who does it right, and with the right people. Voice search will be more important to optimize for on your website. Websites’ content will need to be tailored towards this. Drop shadows will become popular once again, as a rebellion to a long-standing flat design trend. They will be used for rollovers and to show emphasis to certain areas of the page. Custom illustrations and bold typography will be used in favor of photography to elicit emotion and make a brand more memorable. AMP powered websites will become more widespread. Instagram will continue to grow. Facebook will stay dominant with the older generation. Tighter e-commerce integration with social platforms, being able to buy anything, anywhere. Artificial Intelligence and chatbots will become pervasive. As 2019 rolls around, and as quickly as trends come and go, it is critical to stay up-to-date on what is happening in the digital world. Do you have your digital marketing plan set for 2019? Keystone Click will be your partner.